Kanetix is Canada's leading national, online insurance marketplace. Each day, thousands of consumers visit the Kanetix website to compare insurance quotes from a variety of Canadian insurance suppliers. Our Canadian Insurance Affiliate Program works quite simply - you add a link or banner to your website. 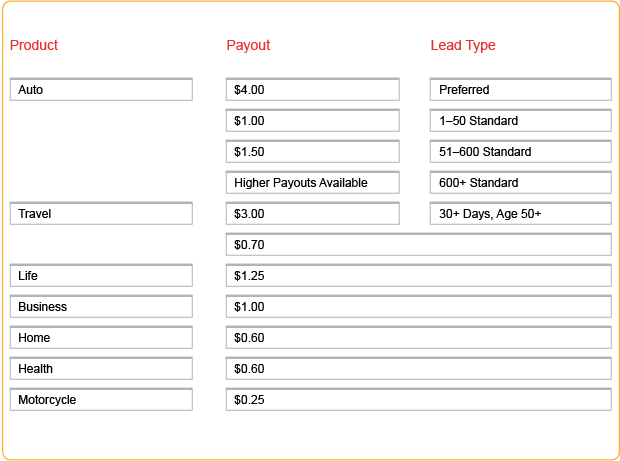 When your visitors click through the link and complete a quote, we will pay you for each valid lead. then the Kanetix insurance affiliate program is the right fit for you!